Since it entered the consumer drone market, DJI has been consistently the brand to beat—so much so, in fact, that many of its competitors just gave up, focusing instead on toy-grade quadcopters or doubling down on high-end commercial products. Those that have hung around the full-featured semi-pro sector—Yuneec, Ehang, GDU, and even GoPro—have struggled to keep up with DJI’s lineup. The company is consistently first with new features, first to miniaturize, and first to push the boundaries of performance and capability. That’s good for DJI, but not always for everyone else. Even in a market as niche as drones, choice and variety are good things. Competition keep pressure on to improve products, and it helps keep prices down. But it also allows for even small nuances in performance to matter. After all, BMW, Mercedes, and Audi all make products that essentially do the same thing—even when pushed hard, they all get around the track within a few seconds of each other—but they distinguish themselves in the details, the quality, and certain philosophies about driving and performance. Who of the auto enthusiasts among us would want to only choose from between the C-Class, E-Class, and S-Class for all eternity? Similarly, drone enthusiasts want a range of options that look different, make deliberate compromises to excel in specific areas, and have features and capabilities unique to them. It’s altogether baffling that no company has been able to front truly cutting-edge products against DJI’s lineup, given the range of competitiveness in other consumer electronics categories like smartphones, laptops, and televisions. In many ways, it echoes the lead Tesla has over all other manufacturers in electric vehicles, even six years on since the Model S debuted; DJI simply surged to the front, then fought tooth and nail to stay there. As a result, the overarching question among drone buyers right now mostly centers not on which brand you’ll buy, but which DJI to choose—the entry-level Spark, the Mavic Air or Pro, or one of its bigger rigs that businesses or professional cinematographers use. Given the consistent raves DJI products draw, is it worth even bothering to look at alternatives? To find out, I took a close look at perhaps the strongest DJI alternative at the moment, from a company called GDU. 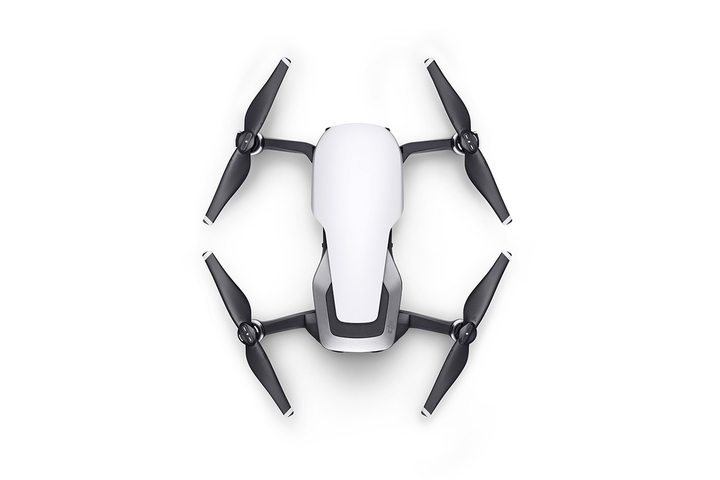 The company manufactures two products: the Byrd collapsible drone, a larger model with a more substantial camera, and the new O2, a compact drone intended to compete directly with the Mavic Pro. At the moment, though...that’s kind of a problem. 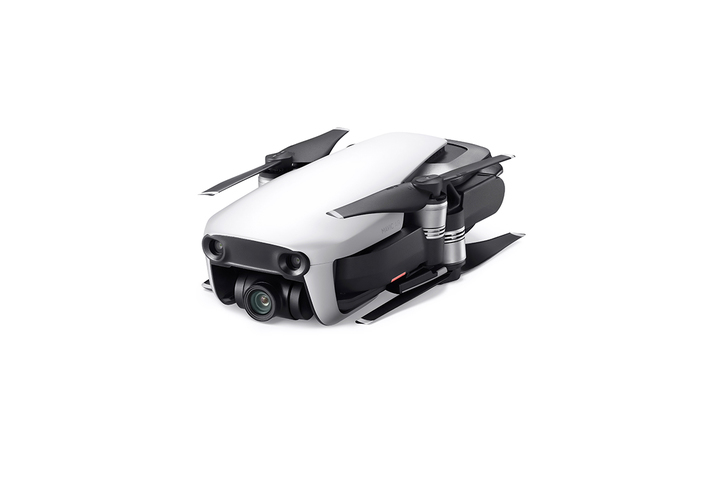 The O2 was announced in the middle of 2017, and at the time, the $1,100 Mavic Pro was the drone to beat. GDU promised their product would do that, undercutting the Mavic Pro with a price of only $732. 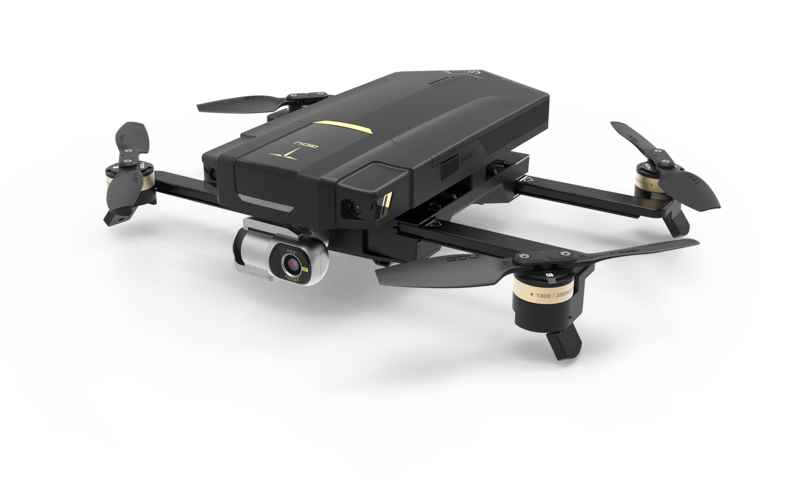 But the drones are just now hitting the market, due primarily to some problems with the camera-stabilizing gimbal that delayed the launch. 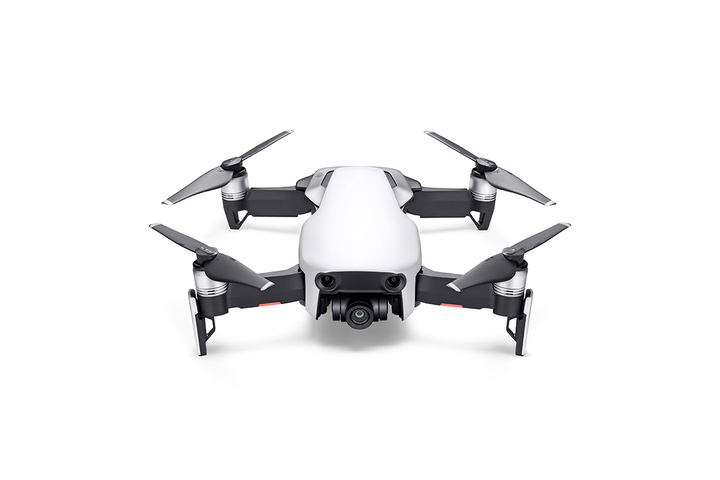 In the intervening months, DJI unveiled the Air—a $799 drone that’s smaller and lighter than the Mavic Pro, with a better camera and similar top speed (43 mph, versus the Pro’s 40) but a slightly reduced flight-time of 21 minutes against the Pro’s 30. It has a full suite of obstacle detection systems, gesture control, and automatic-capture modes, as well. All that adds up to a major ding against the O2 right out of the gate; the Mavic Air is simply the better drone to purchase, without question, and few customers would even be tempted to consider for the Mavic Pro at this point. But what does the O2 bring to the table that might make consumers favor it over the Air or Pro? For both products, the key value indicators will be range, flight time, portability, image quality, and general usability. The first three are readily compared, but the final two are a little more subjective. Flight time is similar for the DJI and the GDU, in that both drones can sustain a hover for 20 minutes in zero-wind conditions. Range is about 2.5 miles for the DJI, but four for the O2, if you opt for the O2 Plus version. (Pricing on that model hasn’t been disclosed yet.) The regular version is good for about a half-mile of control range, which is fine for most circumstances, but inadequate if you’re trying to stretch its legs in a challenging environment. In portability, the edge goes to the Mavic, which weighs just under one pound against the O2’s 1.5, and is slightly more compact. However, I evaluate drone weight with the controllers, chargers, and two extra batteries, since the total system weight is what you’ll be lugging around in backpacks or through airports. I also include one smartphone, since both drones use one as display screens and to integrate app-based control, and since many people use extra or older smartphones as dedicated drone controllers. Again, the winner is the Mavic, at 2.7 pounds versus the O2’s 3.5 pounds of total system weight. Both drones have collapsible rotor arms, with the Air using a combination of swinging arms and the O2 using ones that slide out directly from the fuselage. 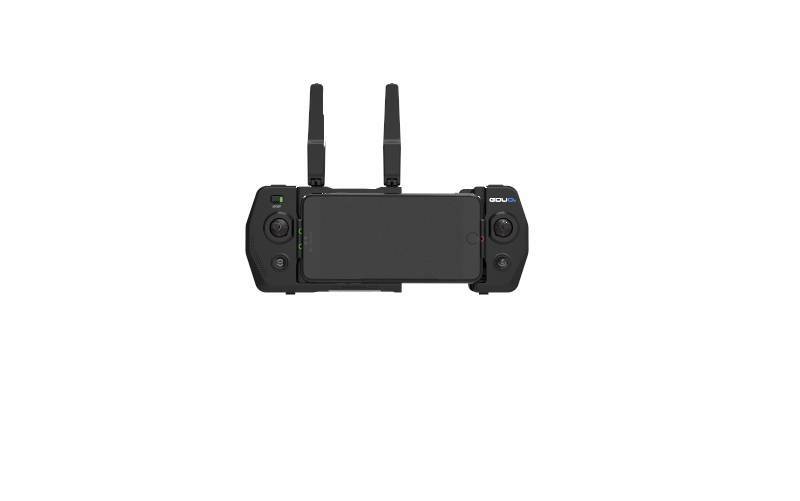 The O2 does have a smart packaging strategy that allows both the controller and the collapsed drone to nest within one another; still, the DJI is more compact overall, with the controller being smaller (even if comparably heavy). That’s important when you’re packing for a trip. In terms of setting the systems up to fly, the GDU has an edge with its smartphone interface, which connects more quickly and intuitively; likewise, the app itself is extremely easy to navigate, with clearly-delineated control and settings areas. The remote controller is also simpler and more intuitive. The DJI app is burdened slightly by the double-edges sword of features—there’s a lot going on in the app and the display, which makes it especially challenging for novices. 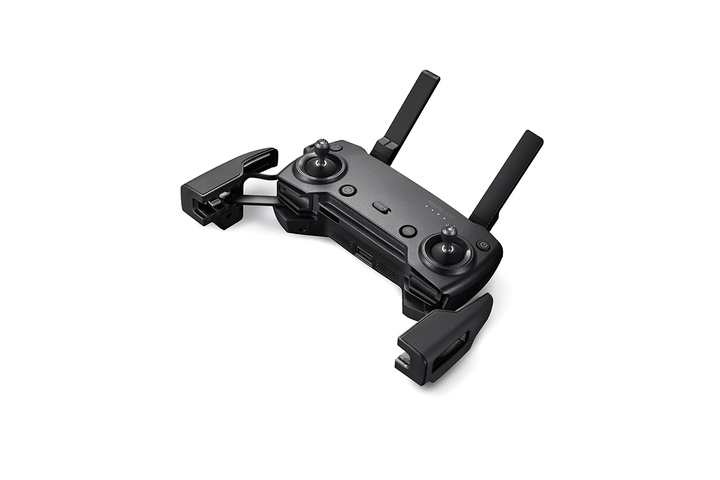 The Mavic’s controller, though, feels better in your hands, with its more compact game-controller-like feel; the GDU unit is wider and bulkier, since it nests the smartphone between its control sticks, rather than below them. Both systems are equally easy to fly. They both have auto-takeoff and return-to-home functionality, and both offer the ability to change the control mode so the drone flies using traditional methods—where the control systems reverse themselves if the drone is heading toward you, for instance—or where the control method stays the same no matter how the drone is oriented. They also each offer a range of shooting modes, including follow, drone selfie, orbit, and rocket mode, where it shoots straight up into the air while focusing on a single point. The Mavic Air includes three additional shooting modes the GDU does not: a twisting arc called helix, a 360-degree-sphere mode, and one where the drone goes out a certain distance then sweeps back around to its starting point. In addition, it can detect up to 16 moving objects, allowing you to select one to follow—even things moving at brisk paces, such as people on bicycles. 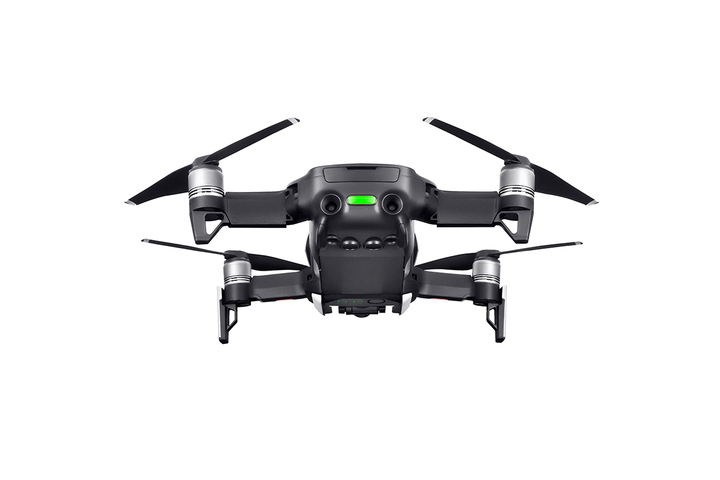 For both drones, all modes are accessed through the app and remote controller, and both have basic gesture-control functionality—though the Air can control movement and camera-firing using it, whereas the GDU only uses it for camera operation. Storage is another point of diversion. The GDU comes with 16 or 32 gigabites of built-in memory, but with no extra slot available for an SD card. The Air includes 8 GB of internal storage, plus an SD slot. The absence of an SD slot may not be a huge deal for most users, given that you can more easily download images straight to your smartphone from the control app—but if you’re doing a lot of shooting, it becomes tedious to have to offload the content multiple times, rather than swap out SD cards or use ones with larger capacities as you can with the Air. Finally, the Air brings with it several notable camera perks, including automatically creating 360-degree panoramas and slow-motion—though the GDU offers slow-motion and time-lapse capabilities, which the Air doesn’t have. The GDU O2 is, by all reasonable standards, an excellent product. It just had the misfortune of being bested by a fresher product from the dominant player in the industry before it could hit the streets. Its status does beg the question of whether other drone makers can truly keep pace with DJI, or at least make their products just as competitive. Just from looking at this GDU, it seems the answer is yes, but companies will need to be a lot quicker on their feet to do so—and they’ll need to start coughing up products that aren’t just competitive, but exceed DJI's wares in one field or another. The O2 is a solid alternative, but at the end of the day, it just doesn’t meet that standard.